MZAAR: Hundreds of skiing enthusiasts flocked to the mountains over the weekend for the unexpected early start of the ski season. Many hotels were fully booked in anticipation and traffic stalled as vacationers sought to take advantage of the Ashura break and maximize their time on the slopes. The recent storms may have lashed Lebanon and wreaked havoc on its infrastructure but they also dumped between one and three meters of snow on the two leading ski resorts, Cedars and Oyoun al-Siman. Snowfall of this magnitude is not commonly seen until at least Christmas and last year was absent until early February, when Lebanon saw a mere five weeks of prime skiing, well down from the usual four-month long ski period that can last from early December to mid-April. Lebanese skiing was born in the 1920s under the French mandate when colonials first started being ferried up the slopes on donkeys, with locals trustily carrying their ski equipment in tow. The area’s reputation grew further during World War II when British soldiers ventured the 130 kilometers from Beirut to ski during reprieves in the fighting. But it was only after independence that the skiing scene truly came into its own, first in the Cedars and later in Oyoun al-Siman, which now boasts some 18 high-tech lifts connecting over 80 kilometers of slopes. A 45-minute drive north from Beirut and a mere 20-minute drive from the coast, Oyoun al-Siman is seen as an ideal weekend getaway and is famous among foreigners as one of the only places in the world where a person can drive to a beach after skiing in the same day. Resort nightspots, such as Bar Powder and Igloo, are already crammed with Beirut’s fashionable party crowd who turn the mountains into their personal playground each winter. With even more visitors expected over the holidays and school break, things are only set to get busier and those who were not foreword planning enough to book in advance may well be disappointed. With its base station at 2,000 meters above sea level, the Cedars may be less well known these days, but with peaks exceeding 3,000 meters, it has the potential to host some of the best powder on offer and attracts its fair share of ski enthusiasts. “Skiing in Lebanon can sometimes feel a little limited but it really does offer everything you need, even for the advanced skier,” said skier Yann Feghali. “The slopes can be challenging and if you are willing to be a little adventurous there is plenty of opportunity to go off slopes and do jumps and tricks. While still outflanked by the lift technology and slope variety of many European resorts, tourists keen to experience something different are gradually recognizing Lebanon as a viable alternative. Its generally more temperate climate, which provides more clear sunny days than other ski destinations and where temperatures rarely fall far below minus 5 degrees Celsius, is being flouted as a big attraction for foreigners keen to escape the biting cold spell currently hitting Europe. New Year’s celebrations are set to be epic with swarms of entertainers being shipped in to woo crowds and extravagant arrays of fireworks set to explode in a distinctly Lebanese fashion. Snowmobiles, spas, movies, lingerie fashion shows and dauntingly large portions of Lebanese and European mountain food will also draw in a fair share of visitors, whatever the weather. 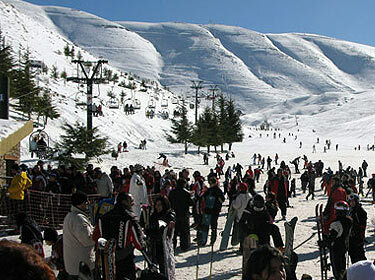 Beirut may not scream premier ski destination, but just an hour outside the city is the Mzaar Kfardebian ski resort. At a height of 2,500m, the snow is (usually) plentiful and it has 80kms of runs, including some challenging slopes. Or, if you prefer to enjoy the beauty of the vista of Mount Lebanon without actually stepping near it, a weekend at boutique hotel Le Gray in the historic heart of downtown Beirut is just the ticket. Le Gray’s rooftop restaurant has panoramic views of the snow-capped mountains, the Mediterranean and the city, and is located close to the best shopping and entertainment. It also has a late night bar, a cigar lounge, a terrace café and, to maintain your ski-fitness, a gym and spa, which uses treatments from Spanish skincare house Natura Bissé. With Lebanon’s tourism industry in recovery and the country looking to increase the number of winter visitors, TTN had a five-minute chat with Ron Sayegh of skileb.com to find out what’s on offer. What are the main ski resorts in Lebanon? Mzaar is the largest, most popular. It has good nightlife and is just one hour from the airport/Beirut. Cedars is the highest, it is very calm during week days and two and a half hours from the airport. Approximately how many people do they attract per year and where do they come from? I would give a rough estimate of 70,000 skiers. Around two third are from Lebanon and the remainder are tourists, this is why Lebanon still has great potential to attract more foreigners. And are visitor numbers growing? Yes, steadily at around 15 per cent every season. What levels of skiing are on offer? Both ski resorts cater for first-time skiers through wide and gentle slopes and also offer steep back pistes for the experienced. You can enjoy 80km of groomed terrain in Mzaar and about 30 in the Cedars. Private and group lessons are available in both resorts. What is the best time to come skiing in Lebanon? The ski season starts around Christmas and lasts till early April. At skileb.com, we normally recommend our guests to avoid February, since it is the peak period and prices are sometimes higher. What sort of apres ski is available? Mzaar offers a wide choice of restaurants and bars that remain lively throughout the week, whereas the Cedars is very calm from Sunday night till Thursday and gets busier over the week-end. 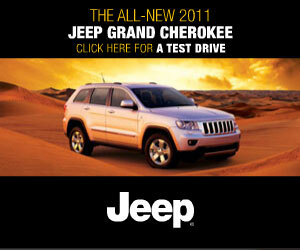 Other apres-ski activities include snowmobiling, hiking, spa and wellness and sightseeing tours from/to the resorts. Is it true that you can ski in the morning and swim in the Med in the afternoon? True indeed. The sea is relatively cold during winter but we ended offering a ski and swim Lebanon tour following demand from our guests. Swimming is normally done around the coastal are of Byblos, only one hour away from Mzaar ski resort. Lebanon is safe, three hours away from the Gulf, mostly sunny, you will pay half of what is costs to ski in the Alps and people are friendly and welcoming. We would recommend combining your ski trip with a stay in Beirut to experience the capital and its renowned nightlife.